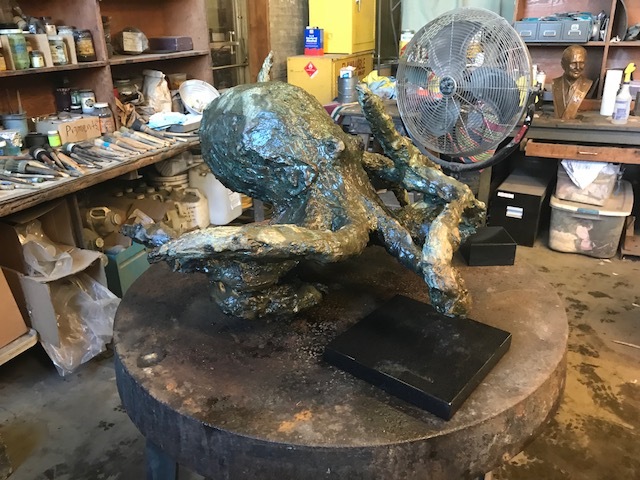 Recently cast in bronze by Laran Bronze Foundry in Chester, Pennsylvania is this large Pacific Octopus sculpture. The work is an exploration of the natural lines and forms of this beautiful creature. These photos show the piece while at the foundry. 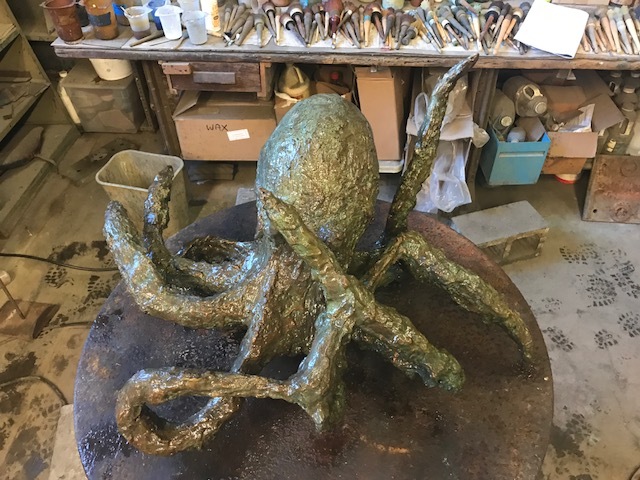 Placed on a 36” diameter table the Octopus is 18” H at tentacle, 30” W, by 29” D and weighs 123 pounds without the base. A wood or stone base would work best for this artwork. This piece is for sale. Please contact the artist for more details. To download the full project sheet click here.